The goal of AWB is to examine trends in race, ethnicity, class, and gender that shape and reshape diversity in the global community. Participants will not only provide a week of service, but will also examine the social dynamics of race, ethnicity, class, and gender, and how they influence institutional structures, social issues and policy, and the possibilities for social change. 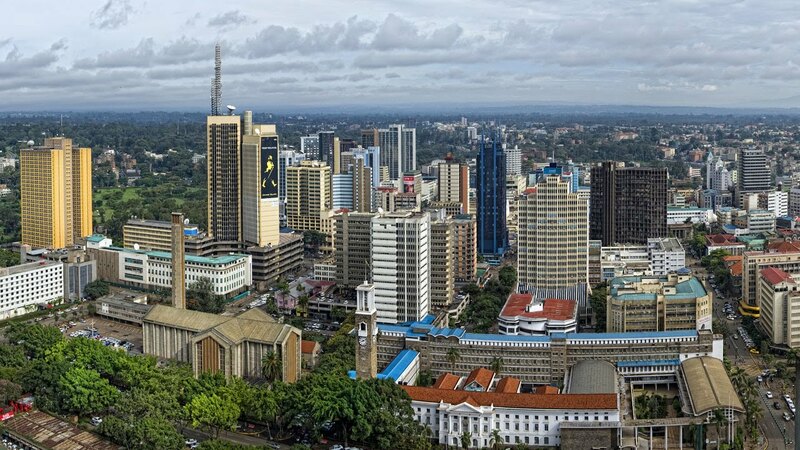 This year’s trip will travel to Nairobi, Kenya over winter break to explore the intersections of privilege and desperation. examine trends (e.g. demographic, historical, legal) in race, ethnicity, class, and gender that shape and reshape diversity in Nairobi and Kitale Kenya. study issues of social injustice and economic inequality that emerge from and also influence these trends. critically examine the systems of power and privilege used to exploit and control varying segments of the global community. Students will pay a $1,500 fee which will be used towards expenses involved in creating this trip. Active participation in meetings, between October and January. Complete and active participation in service projects while on the trip and prior to travel. Adhere to all Wagner College policies. Alcohol is not permitted in any hostels, hotels or lodges, while on the trip, regardless of age. Students who violate local, state or federal laws or Wagner College’s code of conduct while on this trip, will be subject to the campus student conduct process upon return to campus. Students will participate in a post-trip symposium. The return flight will leave Nairobi, on Jan 11, 2019, at 4:50 pm and arrive in Dubai at 10:50 pm. We will then depart Dubai on Jan 12 at 3: 00 am and arrive at Newark Liberty International Airport at 8:00 am on January 12. All students must fly with the group from Newark Liberty International Airport to Nairobi, Kenya and on the return trip back to Newark Liberty International Airport. Students will need to find their own rides to and from the airport in Newark. The College will provide all program-related ground travel in Nairobi, Kenya. We will stay at Luke Roaster Hotel in Nairobi for 3 days during the trip. We will spend 3 days at Dawson’s house, 1 day at Kilgoris Retreat Center ( 50 kilometers from the Maasai Mara), and approximately two overnights in Narok and visit the Maasai Village and Maasai National Park. Kenyan Immigration has instituted a strict visa policy whereby all visitors are strongly encouraged to obtain visas by using an online system, though visas are available upon arrival at international ports of entry including Nairobi’s Jomo Kenyatta International Airport. Note: Yellow fever vaccine availability in the United States is currently limited. If you need to be vaccinated before your trip, you may need to travel some distance and schedule your appointment well in advance. Please review the immunization guidelines as directed by the Center for Disease Control. Additionally, travelers are required to have proof of immunization for measles, mumps, rubella. (All Wagner students have been immunized against MMR). The Centers for Disease Control recommend that travelers into Africa also guard against Malaria. Please submit a cover letter and resume. In your cover letter, please highlight why you are interested in participating in the program, what social issue(s) you have a personal interest in examining and what you hope to be able to bring back to the campus as a result of your participation in this experience. All materials are due to Union 214 or Union 227 by October 8, 2018. Students are responsible to pay (or fundraise) $1, 500 fee by December 4, 2018. Students are expected to have a valid passport by November 15, 2018. Students will participate in all pre-depart workshops, fundraisers, and a post-trip symposium. Students will be responsible for ground transportation to and from the airport in Newark. Students will adhere to all College policies.